The Rock Garden of Chandigarh, located in the “garden city” of the country Chandigarh itself is situated in Sector 1 between the Capital Complex and the Sukhna Lake. 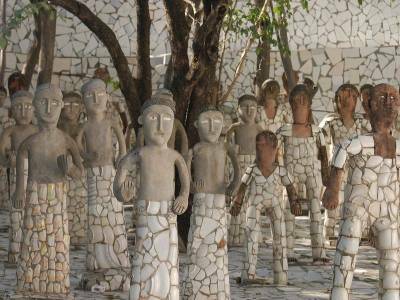 It was founded by a government official by the name of Nek Chand who secretly started the garden in the year 1957. Totally built of thrown-away items and home and industrial waste, this garden today encompasses an area of more than 40 acres. 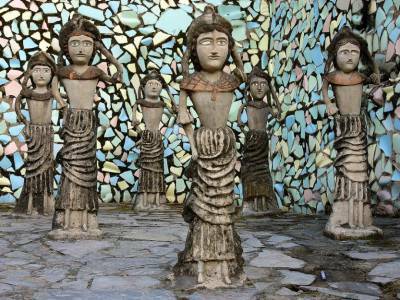 It has got many human constructed interlinked waterfalls, colourful mosaic of art pieces and many sculptures made of various kinds of wastes and scraps. Women celebrate a festival known as the Teej festival at Rock Garden in a grand way every year during the monsoon with immense pride. Everyday over 5000 people makes a visit to the garden and more than 12 million visitors have visited the Rock Garden till date. 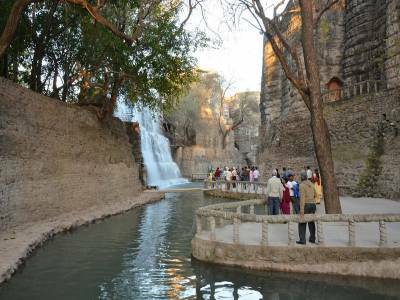 The Rock Garden is truly an amazing attraction of the city of Chandigarh and is a must see for any traveller or tourist visiting Chandigarh. The area of Rock Garden is divided into three different phases having varied type of embellishments and installations. 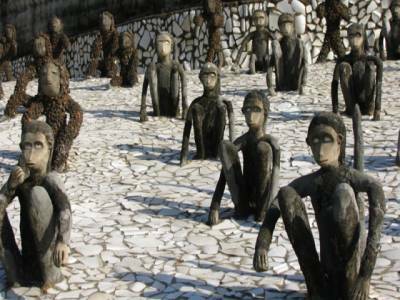 The Rock Garden of Chandigarh is an epitome of innovation, creativity, beauty and sublimity. It is a unique garden in that it has many artworks and they have been created by using urban and industrial waste. 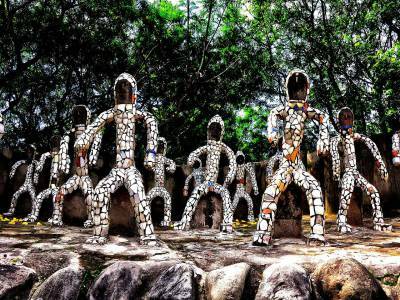 The entire credit for initiating the construction of the garden goes to Nek Chand and it is none other than he who deserves all the accolades. The Rock Garden has witnessed the staging of numerous prestigious performances in its naturalistic and artistic open air theatre. Get quick answers from travelers who visit to Rock Garden.